Published by Collins 14 St. James's Place, London First edition 1970. 1970. 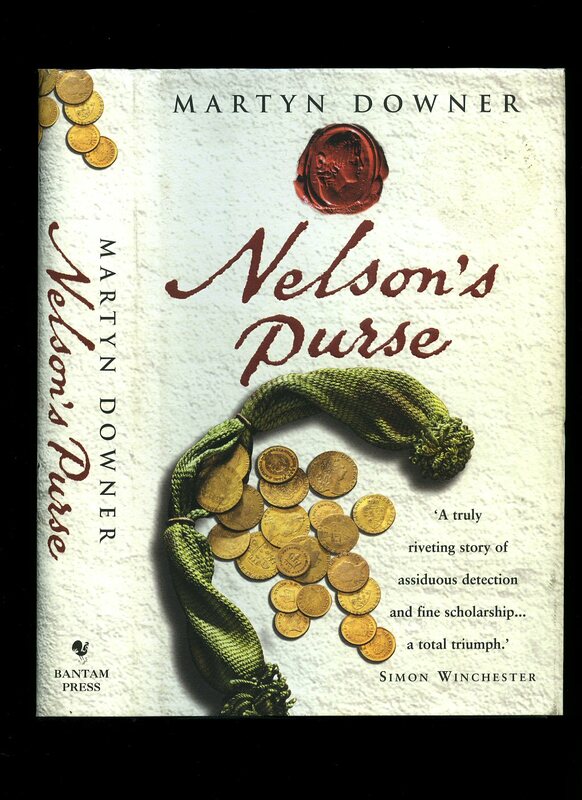 First edition hard back blue covers, gilt and burgundy title block to spine. 8vo. 173 pp. Well illustrated. Name verso to the front free end paper. Very Good in Very Good panoramic dust wrapper with 3 mm rubs to spine tips, not price clipped. Dust wrapper protected. Member of the P.B.F.A. 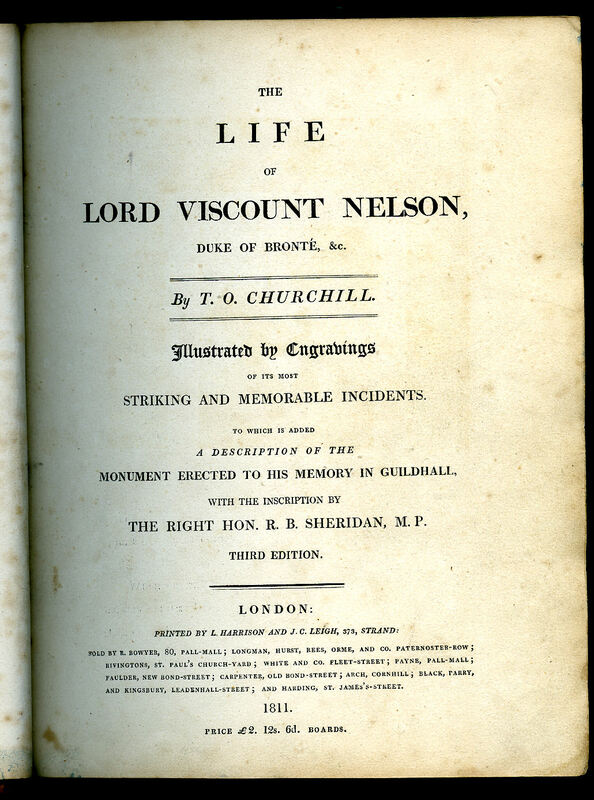 The Life of Lord Viscount Nelson, Duke of Bronté, etc. Illustrated by Engravings of it's Most Striking and Memorable Incidents. To Which is Added a Description of the Monument Erected to His Memory in Guildhall, with the Inscription by The Right Hon. R. B. Sheridan, M. P.
Printed by L. Harrison and J. C. Leigh, 373 Strand, London Third Edition 1811. 1811. Third edition recently recased hard back binding in half chestnut leather covers, blue marble paper covered boards, end papers and page edges, raised bands to the spine with gilt and morocco title label, gilt centre tools and lines, orginal silk tie. Quarto 11'' x 8½''. Contains portrait frontispiece, [viii] facsimile letter, 146 printed pages of text with 12 plates + two fold outs of funeral and coffin. Steel engravings by Bromley and Worthington. Some scattered foxing throughout to the back of the plates, three generation family names to the second front free end paper, 1872, 1909, and 1923. The exterior is in Fine condition. Super copy. Member of the P.B.F.A. 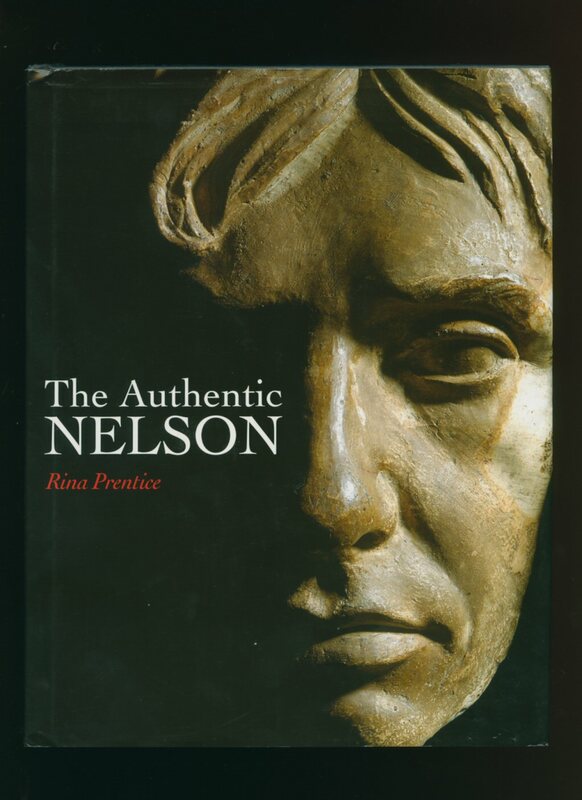 Published by Boydell Press in association with The National Maritime Museum and The Royal Naval Museum First Edition 2005. 2005. Published by Conway Maritime Press The Chrysalis Building, London 2004. London 2004. Publisher's original colour illustrated card covers. 8vo 8½'' x 5¼'' 390 pages. ISBN 085177993X. Concave and spine slant and in Very Good condition, no dust wrapper as published. Member of the P.B.F.A. 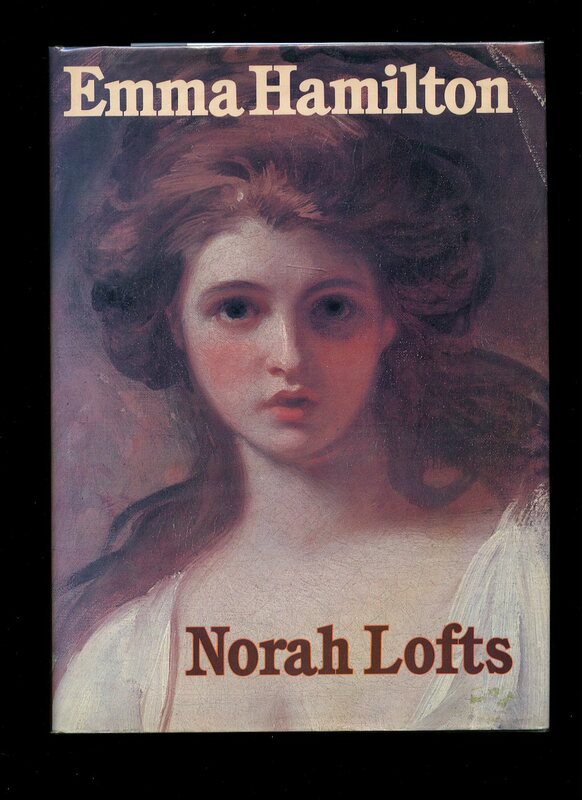 Published by Michael Joseph Ltd., 52 Bedford Square, London First Edition 1978. London 1978. First edition hard back binding in publisher's original buttermilk cloth covers, silver title and author lettering to the spine. Quarto. 10'' x 8''. ISBN 071811700X. Contains 192 printed pages of text with colour and monochrome illustrations throughout. Free from any ownership markings. 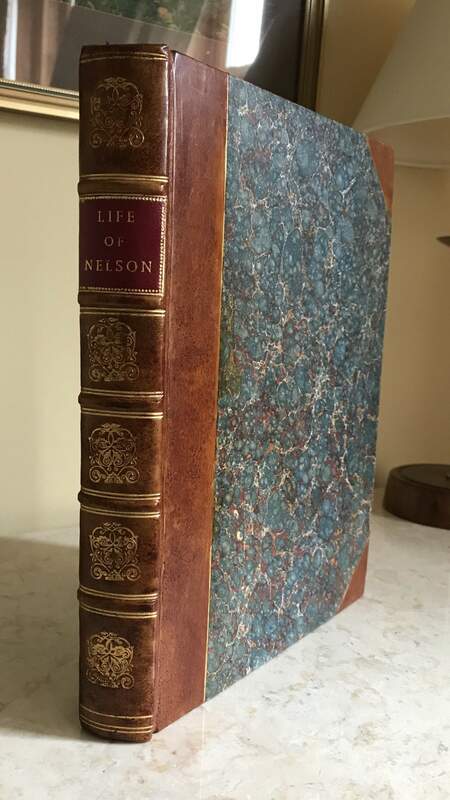 Fine condition book, in Very Good condition illustrated dust wrapper with four small punched holes to the spine, not price clipped. Dust wrapper supplied in archive acetate film protection, this protects and prolongs the life of the paper, it is not adhered to the book or to the dust wrapper. Member of the P.B.F.A. 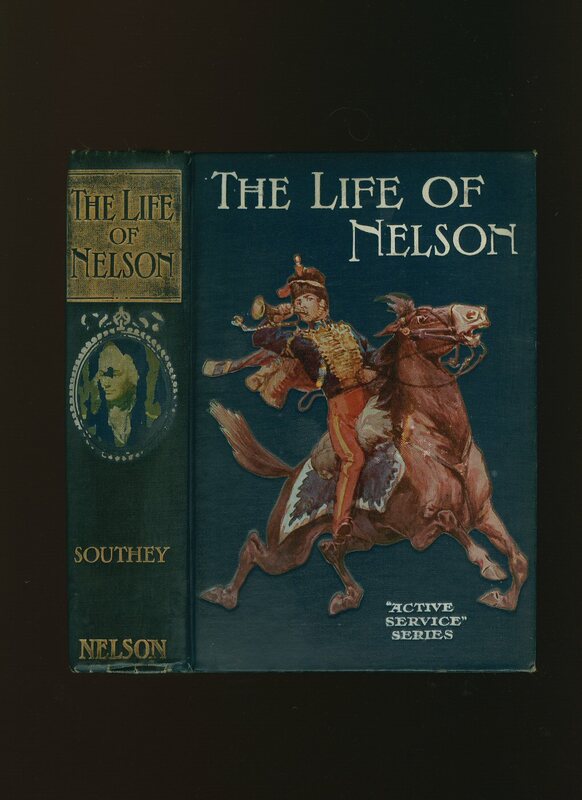 Published by Thomas Nelson and Sons., 35-36 Paternoster Row, London circa 1910. 1910. 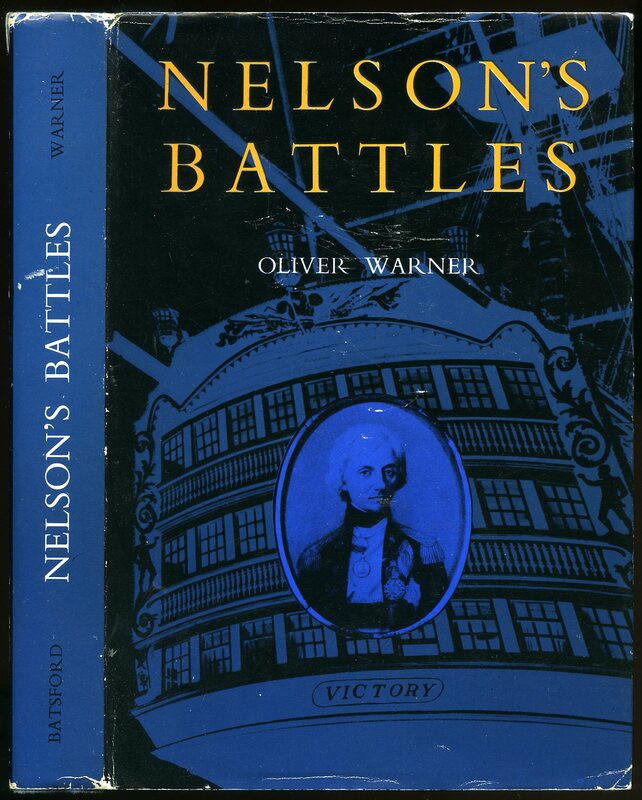 Hard back binding in publisher's original colour printed navy cloth covers, gilt title and author block lettering to the spine, white title lettering to the front cover, olivine page edges. Thick 8vo. 7½'' x 5¼''. 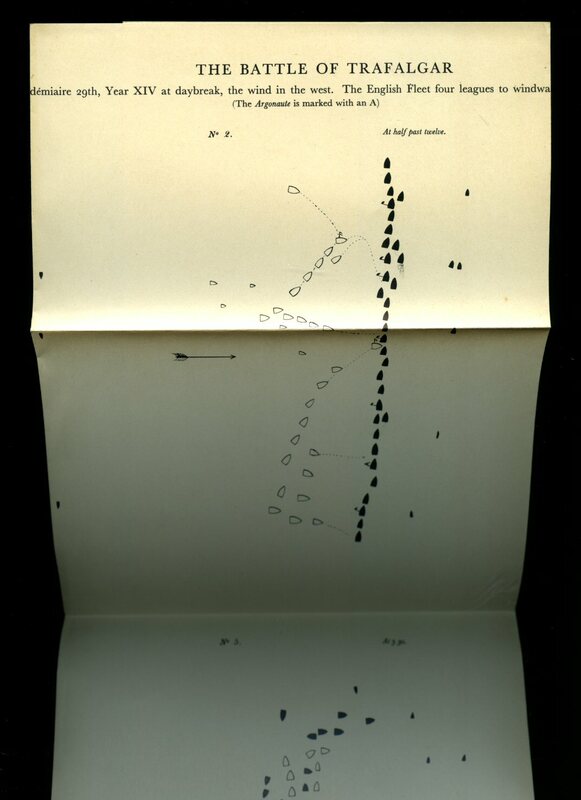 Contains [xvi] 286 [iv catalogue] printed pages of text with two colour plates. Foxing to the title page, beyond which the text block is clean and white, rubbing to the spine ends and corners and in Very Good tight and square condition. Member of the P.B.F.A. Published by Bantam Press, 61-63 Uxbridge Road, London First Edition 2004. London 2004. 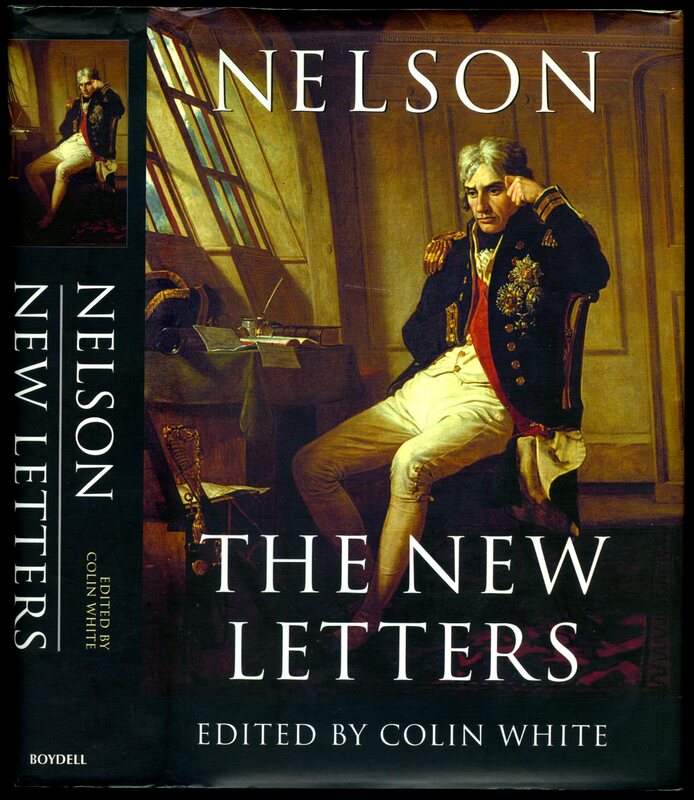 Desbrière, Édouard [Translated and Edited by Constance Eastwick] Vice-Admiral Horatio Nelson, 1st Viscount Nelson, 1st Duke of Bronté, KB (29 September 1758 - 21 October 1805) was a British flag officer in the Royal Navy. 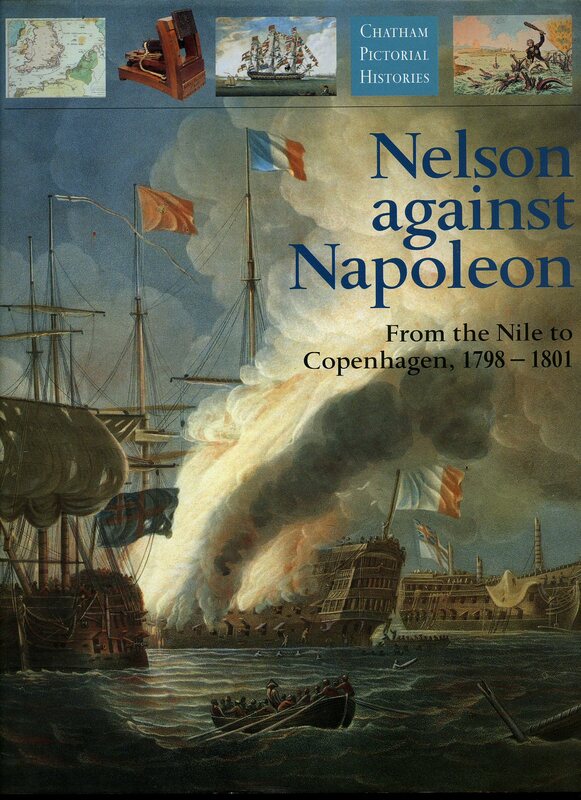 He was noted for his inspirational leadership, superb grasp of strategy, and unconventional tactics, which together resulted in a number of decisive naval victories, particularly during the Napoleonic Wars. 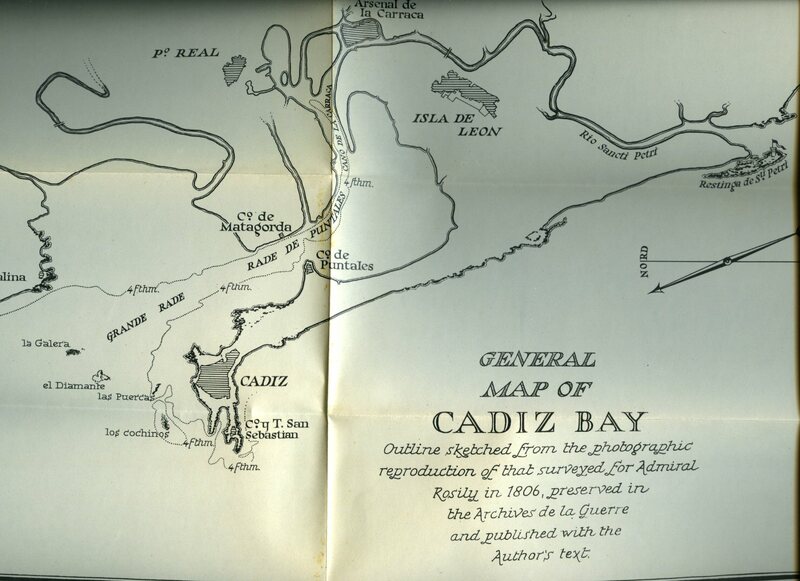 He was wounded several times in combat, losing the sight in one eye in Corsica and most of one arm in the unsuccessful attempt to conquer Santa Cruz de Tenerife. 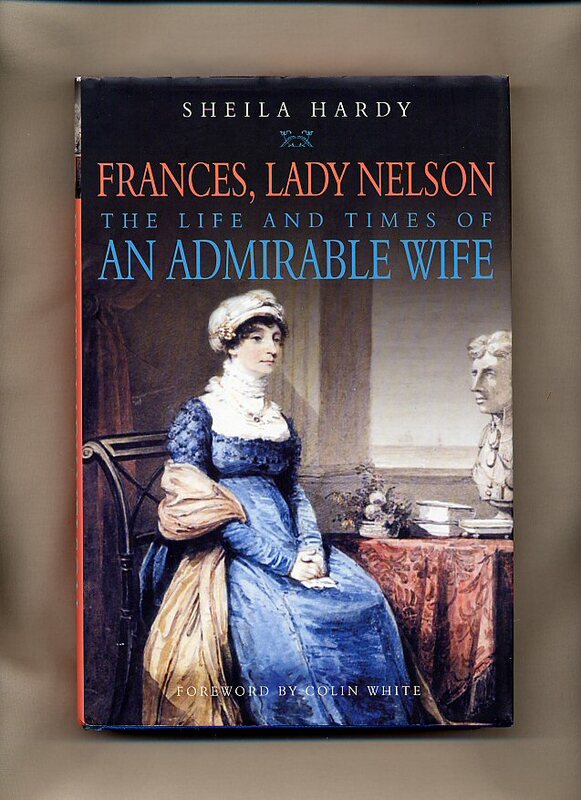 He was shot and killed during his final victory at the Battle of Trafalgar in 1805. Published by Oxford at the Clarendon Press, Amen House, London First English Translated Edition 1933. Two Volumes. 1933. Uniform matching first edition hard back binding in publisher's original deep navy cloth covers, gilt title and author lettering to the spines, lower edges uncut. 8vo. 9½'' x 6¼''. Volume I: [xxvii] + 320 pages., sepia facsimile frontispiece + 6 maps and plans (all folding) in flat rear pocket, 1 other map and 4 diagrams to the text block, errata note tipped-in. Volume II: [xii] + 444 pages., 8 French and 5 Spanish (13 in all) maps and plans (all folding) in rear pocket with concertina cloth sides and extensive spare cut gatherings enabling the book to close flat with the loose maps in place. 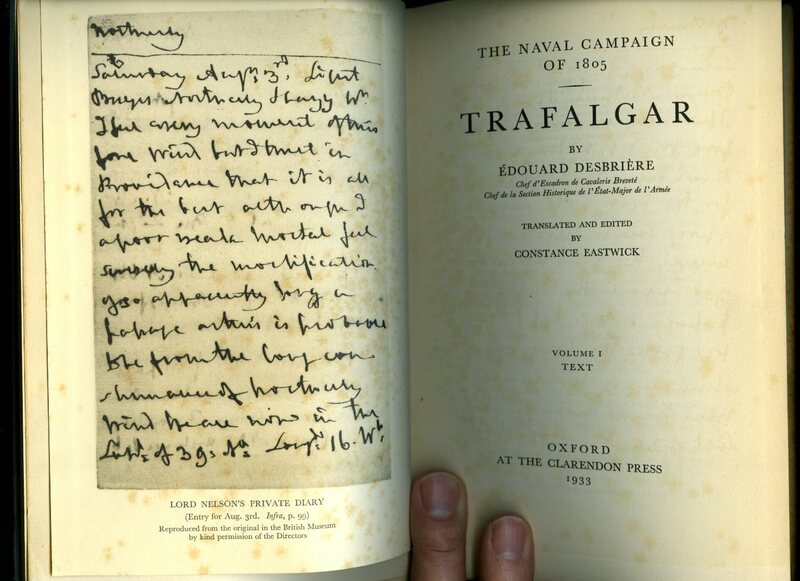 Foxing to the verso of the frontispiece, 10 mm rubbing of the cloth to the top front corner of volume I, Booksellers ticket inside, the same pencil number to each front paste down, spines not faded and in Very Good clean condition. 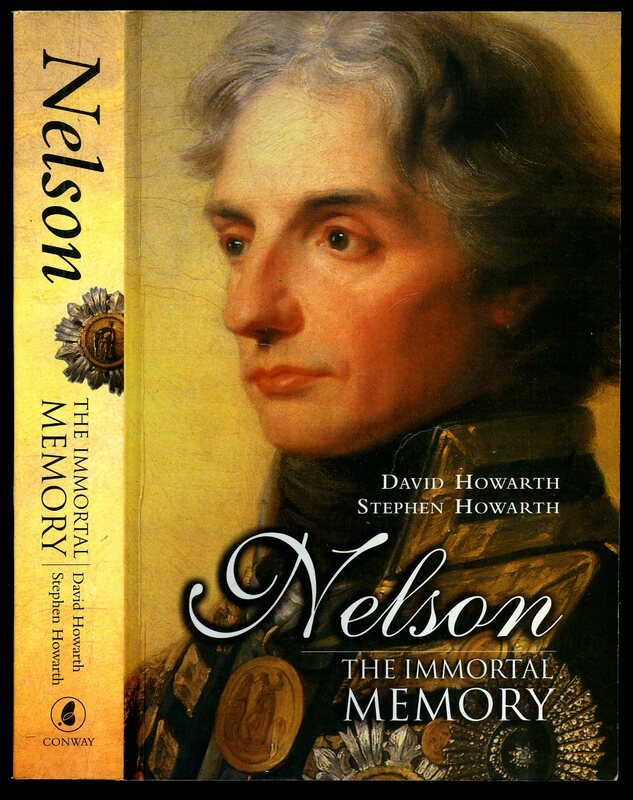 The definitive study of Nelson's final victory at Trafalgar in 1805. Member of the P.B.F.A. 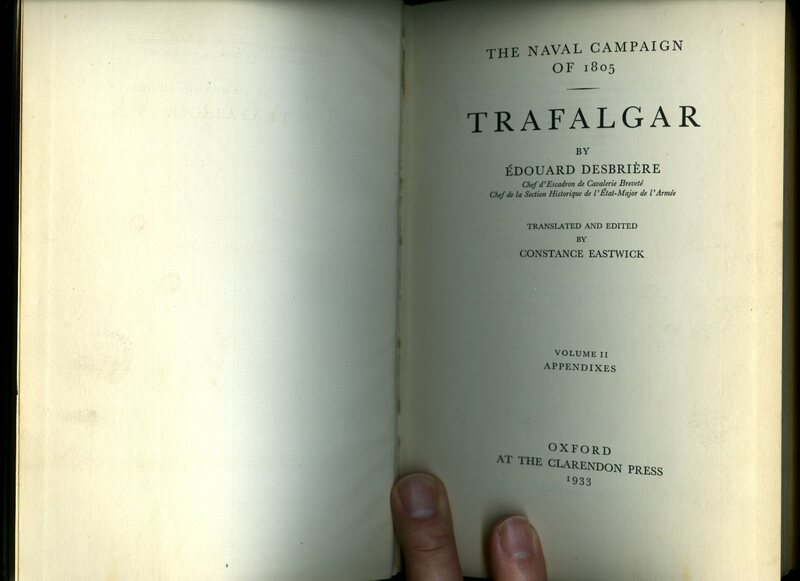 Published by B. T. Batsford Ltd., 4 Fitzhardinge Street, Portman Square, London First Edition 1965. 1965. First edition hard back binding in publisher's original royal blue cloth covers, gilt title and author lettering to the spine, blue dyed upper edges. 8vo. 9½'' x 6¼''. 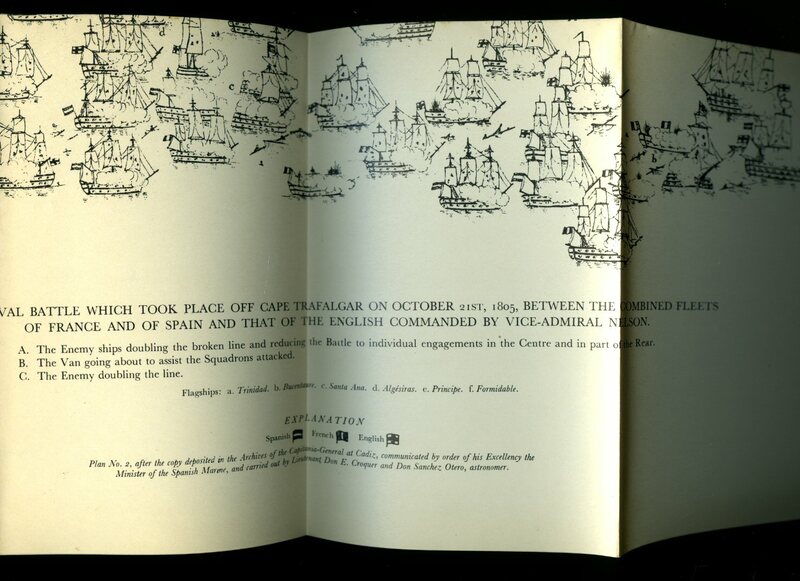 Contains 254 printed pages of text with monochrome illustrations and maps throughout. Tiny rubs to the spine ends, small ink name to the front paste down. Very Good condition book in Very Good condition dust wrapper with rubs to the spine ends and corners, not price clipped 45s. Dust wrapper supplied in archive acetate film protection, it does not adhere to the book or to the dust wrapper. Member of the P.B.F.A. 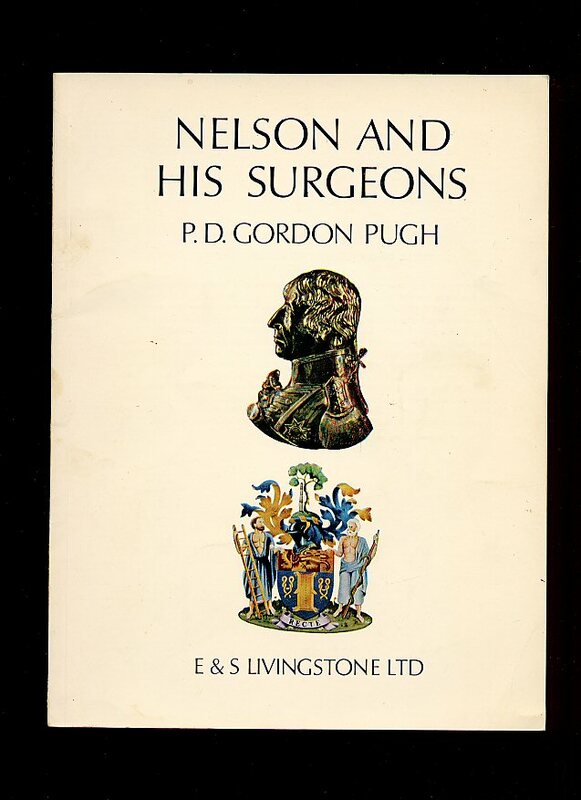 Published by E. & S. Livingstone Ltd., First Edition 1968. London 1968. Published by Spellmount Limited, The Village Centre, Staplehurst, Kent First Edition 2005. Kent 2005. 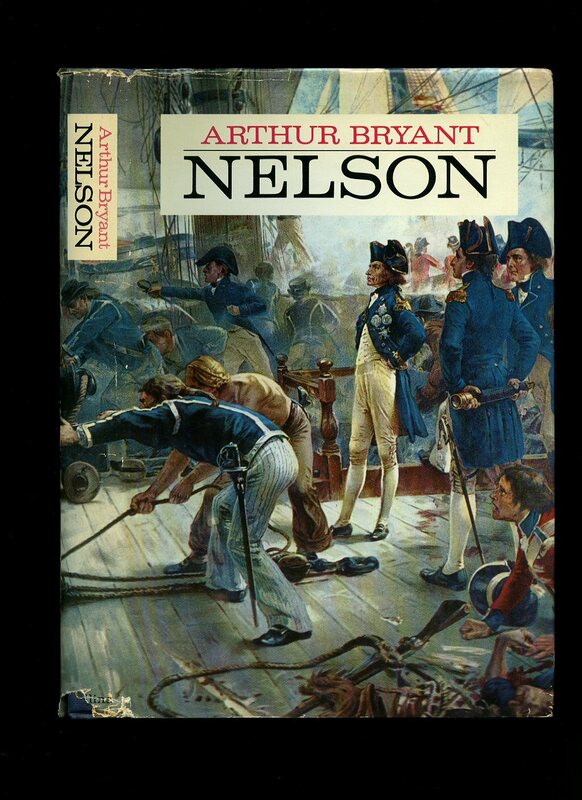 Published by Pen & Sword Military, Pen & Sword Books Ltd., 47 Church Street, Barnsley, South Yorkshire First Edition 2005. 2005. 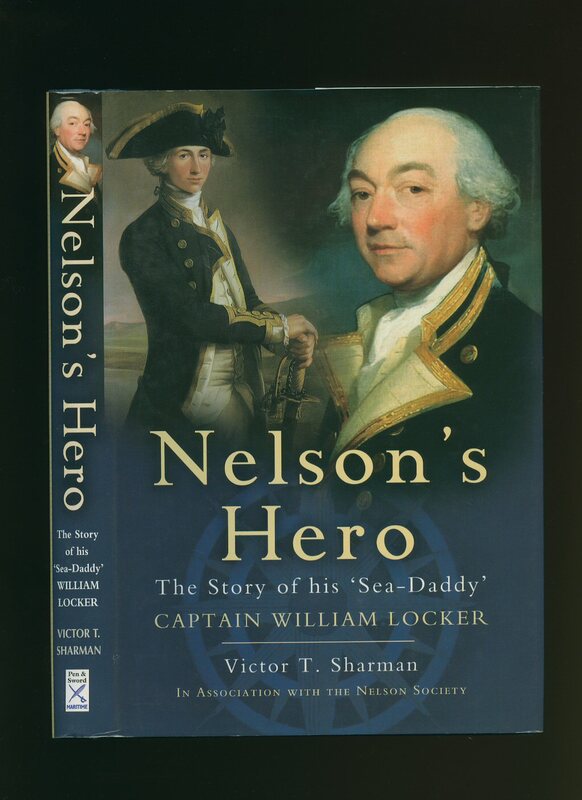 Published by National Maritime Museum Publishing, Greenwich, London First Edition 2005. London 2005. 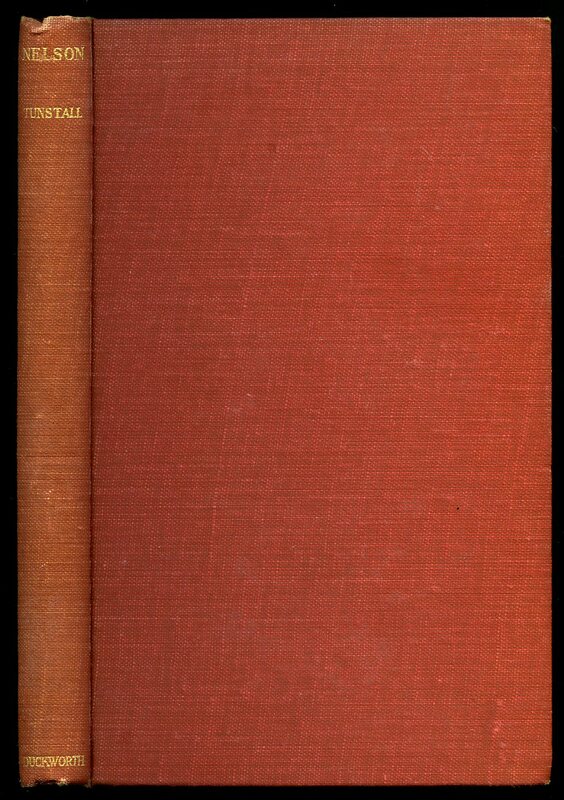 Published by Duckworth, 3 Henrietta Street, London First Edition 1933. 1933. First edition hard back binding in publisher's original strawberry cloth covers, gilt title and author lettering to the spine. 8vo. 7½'' x 5''. Contains 143 printed pages of text. A little wear to the spine ends and in Very Good condition, no dust wrapper. Member of the P.B.F.A. Published by Chatham Publishing, 1 & 2 Faulkner's Alley, Cowcross Street, London First Edition 1997. 1997.